This amazing "Gladiator Joust rental" has come to Pflugerville and is available to rent for your party or event in Austin! 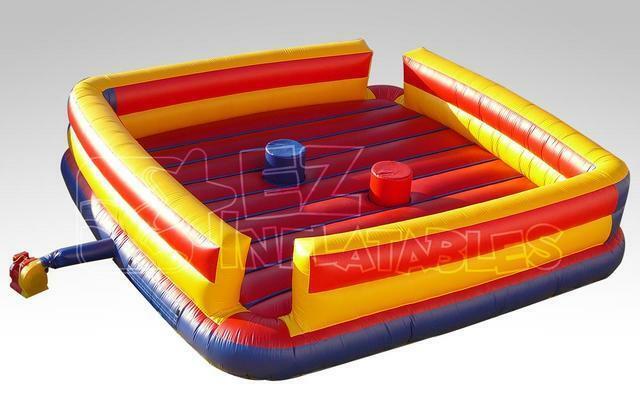 This rough-and-tumble inflatable game rental features a ring where you can be the challenger in the corner! We can deliver the Gladiator Joust rental to Austin TX and any of the following locations: Pflugerville, Cedar Park, Round Rock, Leander, Bastop, Buda, Hutto, Wimberly, and Georgetown. We are based in Pflugerville and can accommodate for residential parties, church events, festivals, corporate special events, and more.